More games are coming out with a theme to try to tie it together. We have seen plenty of aliens, fantasy characters, and renaissance men in the board game world. Now Sailor Moon is coming to the table via Dyskami Publishing. 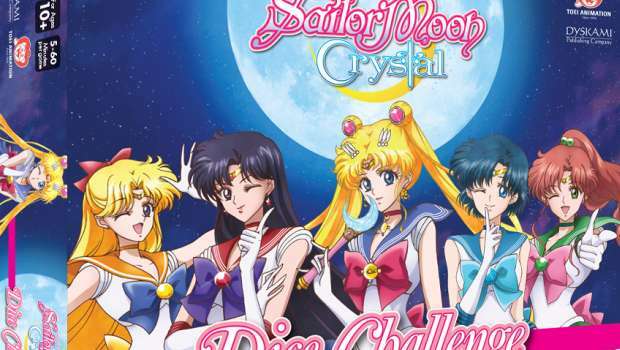 Dyskami Publishing Company announced today that it has entered into a North American licensing arrangement with Toei Animation Inc. to design and distribute a line of tabletop board games based on the popular Japanese animation series, Sailor Moon Crystal. Based on Naoko Takeuchi’s legendary manga series, Sailor Moon Crystal retells the story of Sailor Moon as she searches for her fellow Sailor Guardians and the Legendary Silver Crystal to stop the dark forces of Queen Beryl. Since it has been designed by James Ernest, and based on a game he’s already done, the game should be entertaining and not just a cheap Yahtzee knock off. With a late summer release date, I’m guessing we’ll see this available around Gen Con.